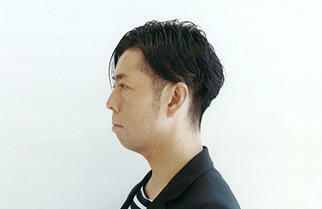 Film producer Genki Kawamura has produced many hit movies such as "Train Man", "Confessions", "Moteki" and "Bakuman". 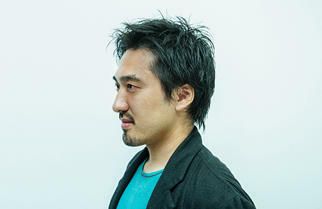 He is also author of the bestselling novel "Oku otoko (hundred million man)" and books such as ""Rikei ni manabu (Learning from science)" and "Cho Kikaku Kaigi (Ultra planning conference)". The photographs for the interview were taken at TOHO Cinemas Roppongi Hills where the movie "If Cats Disappeared from the World" - an adaption of Kawamura's novel - is playing. We started the interview by asking Kawamura for ideas to change Roppongi into an area of entertainment. When the Kabukicho area was redeveloped, the head of Godzilla was placed on top of TOHO Cinemas Shinjuku building and it became extremely popular. That cinema complex now draws the largest number of audiences in Japan. Many foreigners come to look at the Godzilla and the street has been transformed. We might want to attract people with grander things, but the popularity of the Godzilla head makes it clear that it's the fairly ordinary things that resonate with people. There are scenes of the "scramble" crossing in Shibuya in many Hollywood movies like "Lost in Translation" and "Cars." There's that huge screen on the QFRONT building and people come from all directions and walk across that circular intersection. When foreigners think of Tokyo, they think of Kabukicho and the scramble crossing in Shibuya - those are the places that Sofia Coppola shot in her movie. So maybe we should consider what we can do to make the Roppongi intersection an attractive movie location for Sofia Coppola. I think the lack of a fixed concept is what makes places like Shinjuku, Shibuya and Roppongi interesting. Trends keep coming and going and these places swallow up all the changes that take place. So I feel that in Roppongi we should set up something that draws people and is like a mirror that reflects human desires. A book containing Genki Kawamura's musings about famous Hollywood movie directors. Kawamura imagines what kind of works would result if Woody Allen remade "Moteki", Quentin Tarantino made yakuza movies, and Tim Burton remade "If Cats Disappeared from the World." The screen would show the latest cool images made in Japan - everything from movies and anime to adverts and music videos, and foreigners will see it and go "Woah." People watching it could send their comments through their smartphones and the comments will be displayed instantly on the screen just like Nico Nico Douga. The Times Square in New York is a bit like that isn't it? The screen will show adverts of high-momentum companies of the world and it will be thrill just to go near the screen. Top Japanese creators could take turns in making works to be shown on the screen. I would love to do the curation for this. 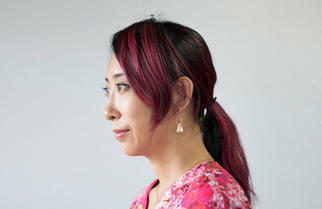 I think the appeal of Tokyo lies in its speedy transformation and multi-layered complexity. Advances are being made in art, music, fashion and in technology like computer graphics and artificial intelligence, and each genre is uniquely evolving with a sort of Galápagos syndrome. We should have something that represents that and which also symbolizes Tokyo - the world's fastest changing city. I don't think it's a good idea to decide on a theme or a catchphrase because the streets of Tokyo change too quickly. And when you make things in line with a certain concept, there's the risk that about 80% of the people will not be enthusiastic about it. The movies I make are viewed as belonging to the side alley of the Japanese movie industry and that's why they tend to be categorized in the "Roppongi Cinemas" group and not in the "Yurakucho Nichigeki" group. For the premiere of "If Cats Disappeared from the World", I made greetings from the stage here at TOHO Cinemas Roppongi and we had a party at the adjacent Curtain Call lounge. If Cats Disappeared from the World. A movie based on a best-selling novel of the same name about an ill man who has not long to live. A devil appears and tells the man he can extend his life by a day each time he gives up something that matters to him. The novel was nominated in 2013 for the Japan Booksellers' Award and had sales of more than 1.3 million copies. Directed by Akira Nagai, the movie stars Aoi Miyazaki and Takeru Sato. A "city-style" cinema complex in Roppongi Hills which was the first of its kind to be opened. Equipped with high-quality audio equipment, box seats and nine screens including a huge screen made according to TOHO's original specifications. A wide range of movies from artworks to epics is shown. Roppongi has movie theaters and art museums, and you can enjoy shopping and dining at good restaurants. You can watch live performances, and of course there are many night-life establishments. It's a place where all kinds of things are jumbled together. It's an area that embodies all that is good about Japan and Tokyo. I like cities. My favorite city is New York. New York has movies, theaters, music, food and art and it's a place where you can enjoy yourself by just being there. I try to go there at least once a year. I find that the trends are always changing, and what is fashionable in food and culture and everything else changes in just one year. The fluidity is so attractive. It's a place with flexibility and which is accepting of constant transformation. I am drawn to the way the streets have been developed - they don't construct a building and expect you to stay there. As a producer, I'm not adamant about doing things in a certain way. As long as I can get the basic things right such as tone and mannerisms and worldview, I welcome different ideas concerning the details. As writer of the original story, I wanted to be taken by surprise by how they would adapt it into a movie, and I left it to the movie team to come up with new ideas. Since I wrote the story, I initially thought that I would feel more attached to this movie than to my other works, but it turned out that I didn't particularly feel that way, and that was unexpected. By not being producer of the movie, I was able to notice that some of the steps that we routinely take when making movies can be very effective. For example, music can stir the emotions so much and the physical bodies of the actors have such impact. Just the sight of Aoi Miyazaki standing in front of the Iguazu Falls was moving. It was interesting to realize that there are some things only movies can do. I recently wrote a book called "Rikei ni manabu (Learning from science)". It started off from my interest in how the main characters of movies are changing. In the past, the protagonist used to be musicians or politicians, but now we have a lot of movies on science people such as Mark Zuckerberg, Steve Jobs, and Stephen Hawking. My view is that the main characters of a movie mirror the key people of the world, and I realized that it's the science people who are changing the world now. I can't do math or physics - I'm an arts person with a strong inferiority complex toward science-related things. Writers and moviemakers are often people who couldn't do math. If they could do math, they would have changed the world, but they couldn't and run away and became what they are now. (laughs) You can get precise answers in math, but beautifully written sentences or beautifully drawn pictures cannot be reproduced or easily shared. Recently, I've been saying that I like things that can't be reached through algorithms - things that don't have fixed patterns and are coincidental. I've been saying that because I think that's about the only way I can compete with the science people. (laughs) I wanted to take a dive into the world of science and understand the people who are completely the opposite of what I am. It's like when I plunged into the world of novels, I gained a better understanding of movies. Artificial intelligence can do arithmetic, can talk and can win games in Shogi and Go. The things that AI can't do are increasingly getting fewer, and it makes me wonder what AI can't do. It would probably be very difficult for AI to have romantic feelings, or to be tolerant and forgiving. When you think about the things that AI isn't capable of, you are ultimately thinking about humans. In my interviews for the book "Rikei ni manabu", I learnt about programming, AI, biotechnology and the latest medical technology and that made me better understand the current human situation. I realized that there is hardly anything left that only humans can do. And I think it's the feelings of love and the other things that AI is not capable of which are most important. I feel that I need to look deeper into those things and express them. I think that instead of spending a lot of time with people you know really well, it's better to force yourself to meet people you usually would never meet, or people you don't feel comfortable with. It's like forcing yourself to go to school and studying because you have a desk in the classroom and the teacher will come. I personally would prefer to avoid people in their sixties who have made great accomplishments. They're intimidating and I find it difficult to talk to them. It's so much easier being with people my age. (laughs) But older people have had many experiences, including failures, and I believe that in some ways they are more advanced than us. That's why I met 12 legendary people such as Hayao Miyazaki-san, Ryuichi Sakamoto-san, and Shigesato Itoi-san and compiled the dialogues into the book "Shigoto (Work)"
Genki Kawamura's first business book in which he interviews famous and influential people like Yoji Yamada, Yasushi Akimoto, Hayao Miyazaki, Shigesato Itoi, Kishin Shinoyama and Ryuichi Sakamoto asking them what they were doing when they were his age. The interviewees give unique insights into their approach to work. You can often make breakthroughs when you make an effort with something you find difficult and force yourself to study and talk to people. So I often take trips to places I don't want to go to. I hate unclean places and I'm fearful of getting stomachaches, and India is a country I would never want to go to, but such places are where I make the most discoveries. I think it's important to create situations for yourself where you have to go to places you dislike. That's the approach I took with "Rikei ni manabu (Learning from science)". I wanted the book to give readers a quick overview of things like biotechnology and AI and programming. You can't grasp anything when you read science books, so I wanted to act as interpreter and convey the interesting ideas that are in the minds of science people. 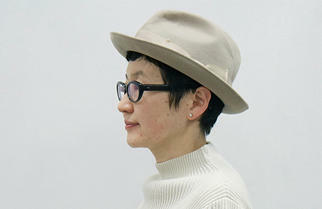 A book containing dialogs held between Genki Kawamura and 15 people in the field of science such as Takeshi Yoro, Nobuo Kawakami, Masahiko Sato, Shigeru Miyamoto, Daito Manabe and Joichi Ito. Using simple words that the layman can understand, the book explores how science and technology will transform the world in the future. When talking to the science people, I felt that they had a clear vision of the future. For example, we are trying hard to do things online like SNS and cloud, but the science people have already tired of that, and are trying to go offline. Specifically speaking, they are wondering how they can utilize online programming and AI in areas like agriculture and architecture. A little while ago, online programming was regarded as something restricted to elites, and there was little interest in adapting it for other genres such as manufacturing. Now that has changed. And Japanese manufacturers are increasingly withdrawing from Asia and are making things in Japan again. Japan is good at making things like cars so I think there are opportunities waiting to be taken. Another thing I realized is that more people are beginning to discard the notion that teamwork is absolutely valuable. By talking to many people, I realized that brilliant ideas and discoveries and breakthroughs come not to a team but to an individual. Robot creator Tomotaka Takahashi-san was saying that at school, whenever he got together with friends to do homework, no one got very far. You have to dive in by yourself to reach the important places. At Juntendo University, there is a doctor called Atsushi Amano-san who is a genius at heart bypass surgery. The discoveries he makes are shared by his team and they are getting big results. It's like one genius finding a route to the mountain top and sharing it so that everyone can climb to the top. When making movies, it's often the case that when the director and cameraman and scriptwriter are stubborn and the actors won't do as you say, and the team is arguing over things, you end up with a good movie. A movie that was smoothly made with everyone getting along with each other is usually boring. (laughs) I guess it's the same with work done at companies. Of course, a team needs to have the capability to absorb all the discoveries being made by each of the team members. It's important that proper assessment is given to the discoveries. If something is ignored just because of feelings of "I don't like this", that would be fatal. The ideal system would be like the one at MIT (Massachusetts Institute of Technology) Media Lab headed by Joichi Ito-san. People from all kinds of fields from art to science work there and whenever someone discovers something, they make proper use of it. Having talked to the science people, I've found that I can give a more logical structure to my ideas which have so far been blurry. So I think my works in the future will reflect a really strong scientific influence. (laughs) The influence already shows in my third novel "Shigatsu ni nareba kanojowa (April come she will)" that's being printed as a series in the Shukan Bunshun magazine. Most of the people I know in their 30s and 40s are not in proper romantic relationships. But they must have been in love when they were at college or high school. They must have experienced affection and jealousy, but with the passing of a mere 10 years or so, all those feelings have gone. In my novel which is about people in their 30s, I alternately show scenes in the present where they have no relationship and scenes of a decade ago when they were in love. I felt that this could be mathematical; if love disappeared between A and B, and I alternately depict A and B, maybe it's like A -B = C and C could be love. Programmers make operas these days, and I think that future entertainment will incorporate science and technology, and the barriers between science and the arts will cease to exist. There have always been people who melded both worlds such as Shigeru Miyamoto-san of Nintendo and Masahiko Sato-san formerly of Dentsu, but I personally used to be wary of things that seemed to be made logically. But it's when you are logical that you can make advances. That's obvious when you look at Apple. Steve Jobs was a programmer who learnt about art and stories and communications and made a company overflowing with entertainment ideas. I think that is the direction society is headed toward. 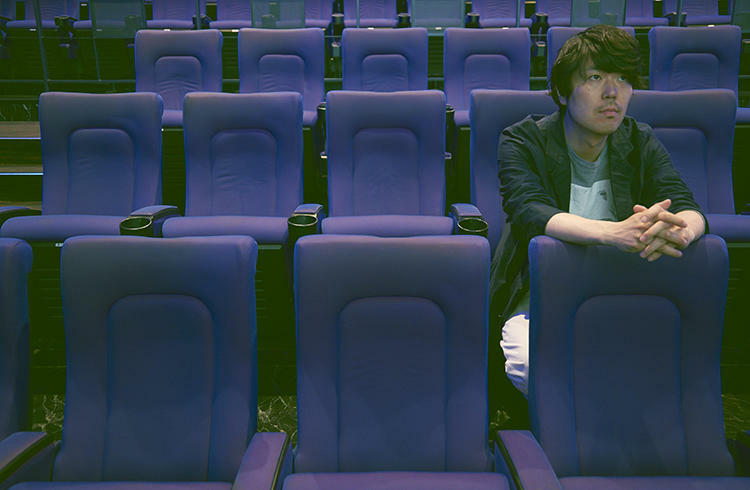 During the photo shoot for the interview, I asked Kawamura-san where he usually sits in a movie theater. He replied that he sits on the right side near the back. "When you sit in the middle, the sound is good, but with a big screen, you have to keep moving your head left and right," he explained. Kawamura-san said that a long time ago, he had a part-time job at a movie theater. The popcorns sold at TOHO Cinemas are particularly tasty, he said. 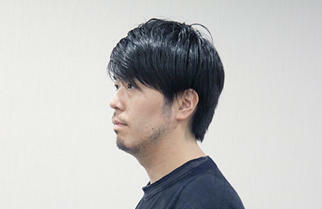 Born in 1979 in Yokohama. Graduated from Sophia University with a degree in journalism. 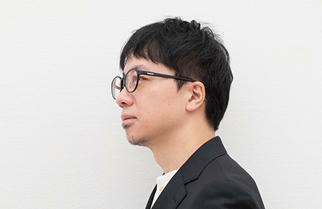 Has produced movies including "Train Man", "Confessions", "Villain", "Moteki", "Ookami kodomo no ame to yuki (Wolf Children)", "Parasyte", "The Boy and the Beast", and "Bakuman". In 2010, was chosen by U.S. magazine The Hollywood Reporter for its "Next Generation Asia" list. In 2011, became the youngest person to receive the "Fujimoto Award", an award given to outstanding movie producers. Published his first novel "If Cats Disappeared from the World" in 2012 which became a bestseller, with more than 1.3 million copies being sold. It was nominated for the Japan Booksellers' Award and made into a movie starring Takeru Sato and Aoi Miyazaki. In 2013, published children's picture book "Fuusen Inu Tinny (Tinny the Balloon Dog)". An animated television series based on the book is currently being broadcast by NHK. In 2014, published children's picture book "Moom". In the same year, animation directors Robert Kondo and Dice Tsutumi - makers of the short film "The Dam Keeper" that was nominated for the Academy Award - decided to make it into an animated movie. Also in 2014, published "Shigoto (Work)" a well-received book containing interviews with 12 people on the topic of work. The 12 were Yoji Yamada, writer Kotaro Sawaki, photographer Hiroshi Sugimoto, scriptwriter So Kuramoto, lyricist Yasushi Akimoto, animation director Hayao Miyazaki, copywriter Shigesato Itoi, photographer Kishin Shinoyama, poet Shuntaro Tanikawa, animation film producer Toshio Suzuki, artist Tadanori Yokoo, and musician Ryuichi Sakamoto. 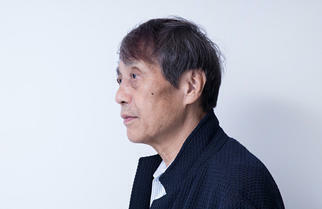 His second novel "Oku otoko (hundred million man)" which originally appeared in the Brutus magazine, became a bestseller. It was nominated for the Japan Booksellers' Award in 2015, marking the second time that Kawamura's work had been nominated for the award. Has recently published "Rikei ni manabu (Learning from science), which contains dialogues with people in the field of science such as anatomist Takeshi Yoro, astronaut Koichi Wakata, Nobuo Kawakami, head of Dwango, scientist Masahiko Sato, and Joichi Ito, director of MIT Media Lab. Another recent book is "Cho Kikaku Kaigi (Ultra planning conference) which depicts an imaginary conference held with Hollywood movie directors.